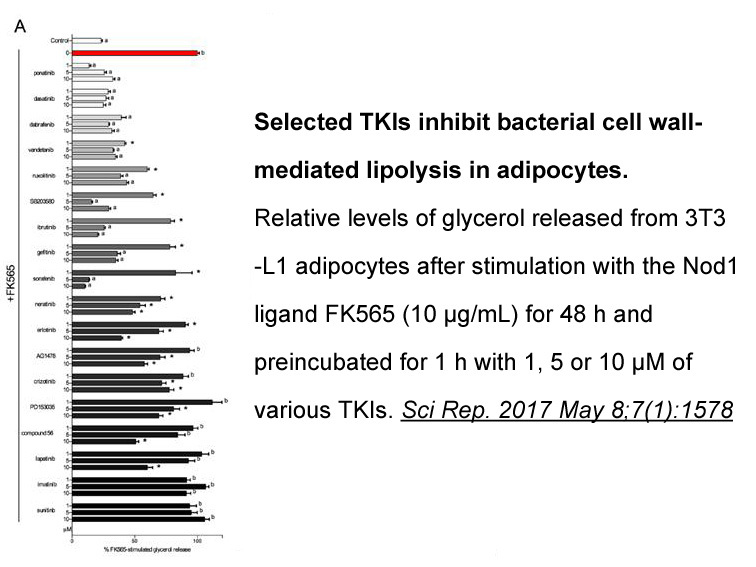 Description Compound 56 is a cell-permeable, reversible, and ATP-competitive inhibitor of tyrosine kinase activity of EGFR. 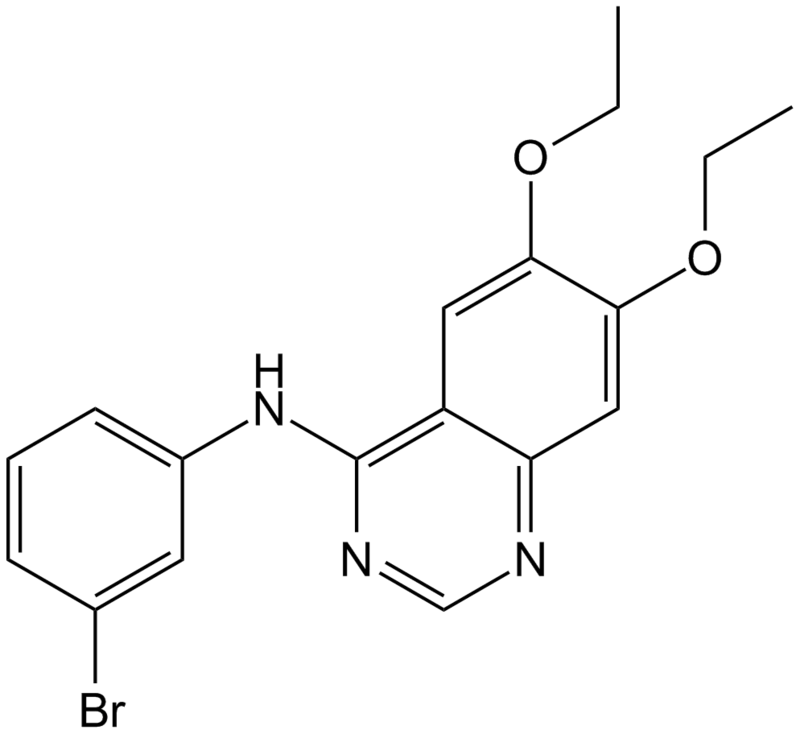 Compound 56, 4-[(3-Bromophenyl)amino]-6,7-diethoxyquinazoline, is a potent and specific inhibitor of the tyrosine kinase of the epidermal growth factor receptor (EGFR) showing an IC50 of 0.006 nM. It competitively binds at the adenosine-triphosphate (ATP) site of EGFR. Compound 56 is capable of inhibiting the phosphorylation of EGF-dependent EGFR, suppressing the proliferation and clonogenicity of a wide panel of EGFR-overexpressing human cancer lines, and blocking EGF-mediated mitogenesis and oncogenic transformation in fibroblasts overexpressing EGFR. Besides inhibiting EGFR tyrosine kinase, It also inhibits the tyrosine kinase of human epidermal growth factor receptor 2 (HER2/neu) but with a less potency.